When you are up-scaling bioprocesses, starting at the lab and going all the way to the pilot and production scale; a scalable can come to represent a compelling solution to have. The required system has to allow a large number of inputs and outputs, synoptic displays, trending screens, alarms and much more. Applikon i-Control is an easy-to-operate Scalable bioreactor controller and utility console. This scalable control solution is used to control processes in bioreactor systems from laboratory scale to pilot plant and production scale. The i-control from Applikon is a human interface color touch screen device used to control the most important parameters at a laboratory scale scenery. The seamless scale-ability saves time and money by offering a simple scale-up of a control strategy from research via pilot-plant to production. 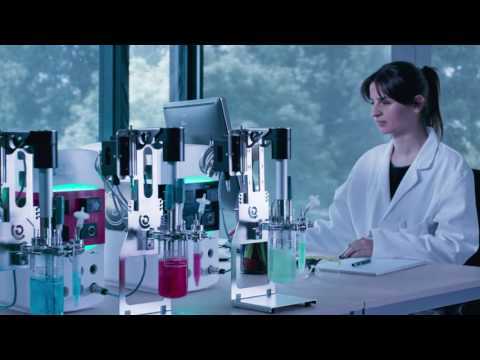 The simplicity of operation is one of the key features, allowing operation by cell biologists, and configurations to get adapted to changing process demands without the need of an engineer on-site.